I’ve started trying to resurrect my electronic design and prototyping skills. I’ve never been a fan of prototyping using Perfboard – I much prefer to use my own PCB designs. There are a few different ways of doing this – I think the most common are chemical options such as using a lightbox or a ferric solution to etch away the copper. I don’t really like this way of doing it, although these methods work perfectly well for many people. An alternative way of creating PCBs is using a technique called Isolation Milling. Basically you use a CNC machine to grind away the copper from around your electrical tracks. 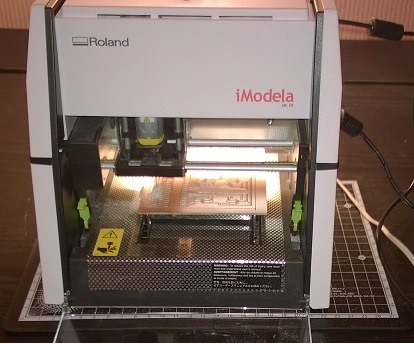 I’ve tried a couple of different tools for this now – one is the Roland iModela iM-01, and the other is the Shapeoko 2. A CD is supplied with the iModela device which contains all the software you need if you’re trying to get started on Windows 7 or Windows XP. However, I’m on Windows 10 and immediately found that the driver package supplied would not install. Working around this took a bit of time – this is a niche subject so using Bing/Google doesn’t return hundreds of results with people having the same issue. Fortunately I found there is an updated driver and software package on the Roland’s Japanese site. Click here to navigate to the Roland site for the iM-01 software. For Windows 10, 64-bit – Download Version 1.11. This is a zip archive. (You should select the driver that’s most relevant for your operating system). 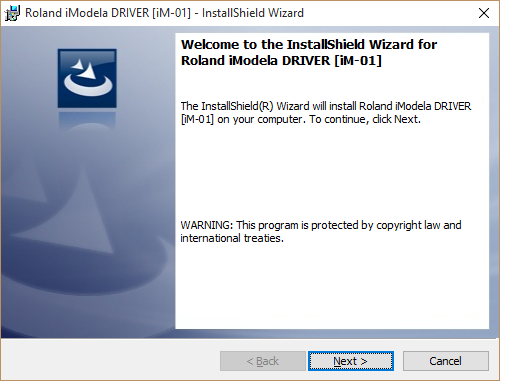 Open the archive, and you will see a folder named “RWD-124_Roland_iModela_Driver_for_Windows8_x64_V111”. Extracted this folder to your hard-drive, and execute the Setup64.exe file. Unfortunately the User Account Control window appears because Windows can’t verify the publisher (in 2015 we shouldn’t still be seeing this problem, I hope the manufacturer will sort this out). If you proceed, you’ll see a window open like the picture below. Select the “Install” option, and click “Start”. The installer will decompress some files and you’ll be presented with the screen below. Click “Next >”. You’ll be taken through a fairly standard installer wizard – I selected all the default options. Eventually you’ll see a security challenge screen like the one below – I chose to install the software. Finally, if the install was successful, you’ll see the screen below. I found that the version shipped on the CD – version 1.02.0000 – installed fine on Windows 10, but there’s an updated version on the site above – at the time of writing, the most up to date version is 1.0.3.0000, which is the version I elected to install. 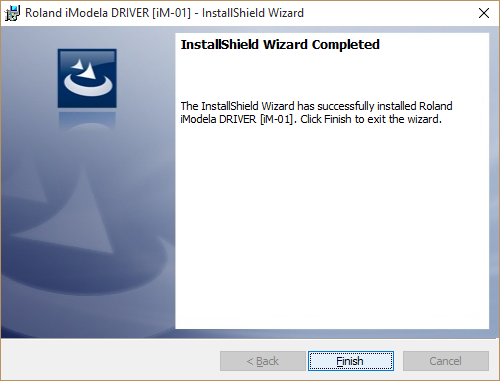 Installation was simple – a very standard wizard with no issues, I just chose the default options. 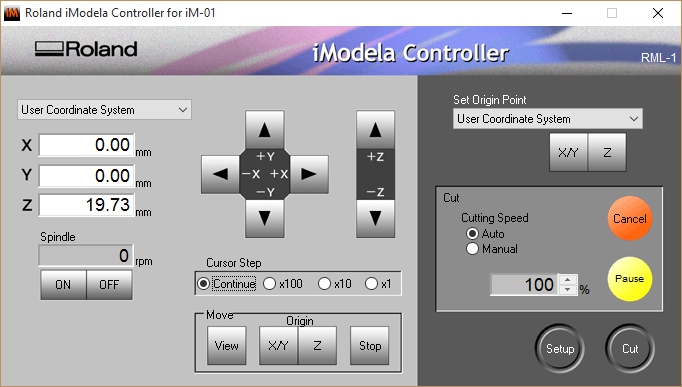 When I selected the “iModela Controller” application from my start menu, I got the screen below. This is a pretty helpful error message – I hadn’t connected the USB cable to my computer, or switched the machine on. I did notice that if I retried immediately after connecting and switching the machine on, I got the same error message. However, if I waited a couple of seconds, the application opened (and looks like the image below). At this point, I was able to control the iModela from my desktop machine. 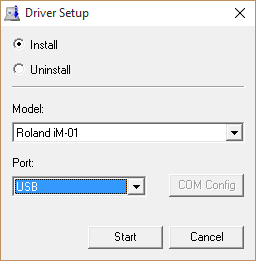 Hopefully someone else will find this to be useful when they’re trying to set up the iModela on Windows 10. Previous postSome useful headers to add in IIS to improve security.